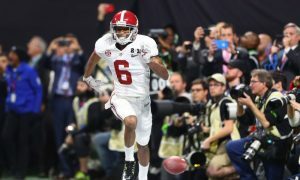 If it has not already happened, Pierce Quick needs to be showered with love and appreciation for what he has done in not just giving Nick Saban back the title as top-ranked recruiter, but also bringing guys together in a signing class that have one goal in mind: winning a national championship. As the first commitment to the 2019 class in March of 2018, the four-star offensive lineman set a vision on Twitter that he would be 100 percent committed to making this class the best of the Saban era. Quick stayed in constant communication with players from his quarterback at Hewitt-Trussville High School, Paul Tyson, to other big four and five-star athletes – including Evan Neal, Antonio Alfano and Trey Sanders. 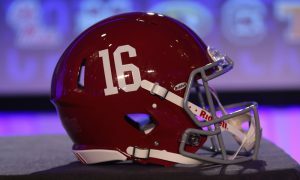 After signing 24 student-athletes in the early period, the Crimson Tide brought in three more names to finish the total at 27. Behind the urgency of Quick, Saban has assembled an offensive and defensive line that will be menacing for years to come. Along with this, he has retooled Alabama in the secondary and at linebacker. With the kicker in Will Reichard now in Tuscaloosa, Quick made well of his promise and now intends on helping the class win multiple championships. Kudos to Quick for his efforts and the Tide for signing the No. 1 class by a wide margin.